The divide and rule policy adopted by the British to consolidate and perpetuate their power in India, the circumstances that led to the partition of British India and the gruesome communal riots that erupted eventually broke the unity of Indian people, who otherwise fought united against the British. The wars with Pakistan, and communal disturbances did bring in mental barriers between Hindus and Muslims. The communal fanatics from both sides and particularly the Hinduthva forces readily used this perturbing situation successfully to further widen the gulf. History written with certain prejudices and improper perspectives and particularly the ` nationalistic ` way of history writing contributed towards the development of communal mindset. Literature produced with a communal bias played a destructive role in devastating a secular framework of thought. Popular perceptions are also carved with a parochial view. All these blamed Muslims and unfortunately the Muslims inevitably become a ` perceived enemy '. This resulted in consciously marginalizing the sacrifices of Muslims. It'll not be an overstatement to say that ` the politics of remembrance and (deliberate) forgetfulness' played havoc with the voluminous contribution that Muslims made. Hence we find only passing references being made that too only about selected ` nationalist ` personalities like Moulana Azad. As rightly said by Prof. Shan Muhammad of Alighar Muslim University in his Muslims and India's Freedom Movement, ` the result of all this has been the campaign of hatred and the press propaganda against the Muslims. After the attainment of Independence it was hoped that our intellectuals would say good-bye to the British historiography of infusing communal politics and sowing the seeds of dissension between the two communities in India and usher in the golden age of freedom. But it was hope, contrary to the expectations; the role of Indian Muslims in the national movement has not been given adequate coverage in the press or books. It has either been side tracked or referred to here and there by scholars. Instead of factual and secular historiography it has been communalized. The contribution of Muslim revolutionaries, poets and pose writers is not known today'. The ultimate result is the creation of a wide gap, a gap ever widening between Muslims and Hindus in India. 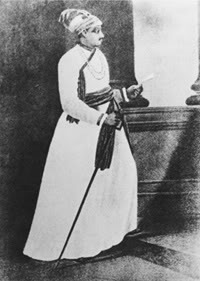 Sirajiddaula, Nawab of Bengal was the first native ruler who relised the menace latent in British expansion and tried to check it in its inception. The additional fortification of Calcutta by the British `Provoked the Nawab's wrath '. He marched to Calcutta and captured Fort William on 20, 1756. Due to the great betrayal by his unfaithful General Mir Jafar and a group of wealthy Businessmen and rich financers group under the leader ship of Big Banker Jagth Sethi, got defeat in the battle of Plassey. However Sirajuddaula stood in the annuals of history as a first ruled who challenged the expansionist trends of British and tried to avert the danger to Mother Land. After the battle of plassey, Nawab Mir Qasim fought against the British heroically and got defeat in 1764 at Buxar. The successes in these battles lead the British to capture the states of Bengal, Bihar and Orissa. Muslim fakirs unfurled the first flag of revolt. Muslim Fakirs of Bengal unfurled the first flag of revolt, roughly 100 years before the First War of India's Independence. The British who were getting some hold over the affairs of native rulers were conspiring to loot the wealth of the natives, and trying to get control all over Bengal with the active help of native rulers. At about 1763 for the first time Muslim fakirs revolted against the English East India Company under the able leadership of Majnu Sha Fakir. sanyasi leaders like Bhawani Pathak supported Fakir's revolt against the company and its stooges. The first and foremost combined revolt of Fakirs and Hindu Sanyasis against the British was called Fakir-Sanyasi Revolt. After the death of Majnu sha Fakir leaders like Musa Sha, Chirag Ali, Nurul Muhammad etc. led these struggles until 1800. 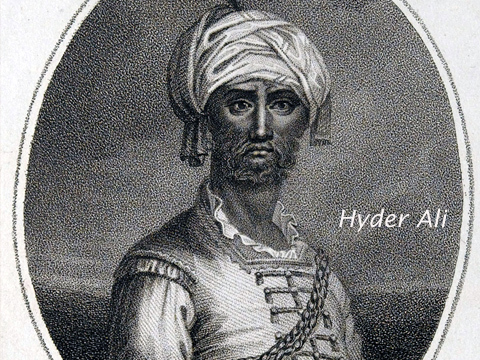 Later on in 1820, inspired by the philosophy of Haji Syed Ahamed Barelvi, Muslims revolted against the British. Gradually it became a militant revolt under the leadership of Titu Mir. The followers of Ahmed Barelvi were called Wahabis, and they continued their heroic fight against the British until 1870. This struggle remained in the annals of the history of India as Wahabi Movement. Abdul Aziz, Mahammed Mahashin, Inayat Ali, Vilayat Ali, Peer Ali etc. played leading role in this glorious movement. The prince of Nizam estate, Mubarijddaulah, the brother of the nawab also joined hands with Wahibis in Decaan. Inspite of several conspiracy cases, trails, severe punishments, the Wahabis continued their struggle. On the other hand, the father of Farajia struggle, Haji Shariyathulla took to arms against the British. This struggle has come to be known as Farajia Struggle. It became very famous during 1830 to 1900. Dudu Miya, an able son of Shariyathulla, led the struggle successfully for several years. The Farajia heroes Noya Miya, Amir Miya continued struggle for a period of 50 years. Teepu Sulthan was the first Indian ruler, who cautioned the native rulers about the imperialistic designs of the British. He, a prince with foresight enthused the native rulers to give up their destructive infighting to defend their country from the onslaught of British colonialism. He continued the struggle initiated by his father Hyder Ali against the foreign rulers. He addressed letters to native rulers explaining the true colours of colonial rulers and their well laid out plans to devour the country. If the native rulers had lent full support to Teepu Sulthan, we would not have remained as rulers here, was the statement of a British General Wellsly, after the martyrdom of Teepu in the battlefield of the fourth Mysore war. This shows the importance of Teepu's resistance and foresight. Fighting on two fronts, one the native rulers and the other the colonial power, he died on the battlefield on May 4th 1799. The people of Mysore acclaimed him as the tiger of Mysore. It was only after the death of Teepu, that the British military officer General Harris could declare that, from today India is ours. This shows how Teepu had proved to be a great obstacle in the way of the British. There was no other hero for half a century, who firmly challenged the British after the martyrdom of Teepu sulthan. After Teepu, Muslims laid down their lives in the struggle started in 1857, famous as the First War of India's Independence under the leadership of the Mughal emperor Bahadur Sha Jaffar. In this struggle the courageous role played by Begum Hazarat Mahal of Oudh is laudable. She fought the foreign rulers, challenged them and offered stiff resistance for a period of 14 months, declaring her child as ruler of the Oudh. She inspired the native rulers and ruled her state in the time of crisis. It is remarkable to notice thast I n those days the so-called developed countries like England did not have women in military. But here in India, we find women in patriotic military force with proper training, under the leadership of Begum Azizun, a woman of just 25 years old. She fought on the side of Nana Saheb. Azizun sacrificed her life for the sake of motherland. She preferred death to surrendering to the enemy. There were other courageous women like Habeeba Begum and a women donned in green dress, who fought violently for the motherland and courted the gallows without any fear. Begum Rahima bravely fought the enemy forces. Asgari Begum was barbarically burnt alive for not disclosing the secrets of revolutionaries. Moulvi Ahamadulla Sha Fyzabadi marched forward victoriously and inflicted such heavy losses on the British that they announced a reward of Rs. 50,000-00 for his head. The Raja of Powain betrayed and he was shot him to death, and his head was cut off and sent to the British lords, to get the reward. Only after seeing the head of Ahamadull Sha, the British officers with a sigh of relief declared that the most formidable enemy of the British in northern India was dead. Azimulla Khan, brain behind the revolt, who was the vakeel of Nana Saheb of Kanpur, wrote several letters to the native rulers and public infusing in them patriotic zeal.. Thus there is a long list of Muslim patriots who bravely fought the British.The list, among the others, includes Moulana Liyakhat Ali Khan, Hikmatulla Khan, Kahn Bahddur Khan, who became a symbol of Hindu- Muslim unity. 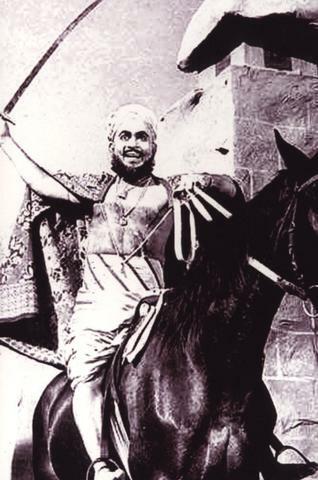 Mahammad Bhakth Khan, the military general of the first war of India's independence, Bakshi Ali, who inspired Jhansi ki Rani to revolt, Shehajada Feroz Sha several others. Several fatwas were issued by the ulema to wage a war against the British, which stirred the whole community to fulfill the obligations enjoined on it. Moulvi Fazle Haq and Moulana Sarfrz Ali who wielded enormous influence upon the people closely aligned themselves with the revolt. Haji Imadadullah gave stiff resistance fight to the British while commanding the Mujahids in the plains of Shamili. In UP, Moulana Qasim Nanutvi and Moulana Rasheed Ahamed Gangohi led the rebellious forces during the uprisings. Thus Ulema, along with others, made it obligatory upon the Muslims to wage a holy war against the British. In Southern India several patriots unfurled the flag of revolt at the cost of their lives. A rebel by name cannon blew up Subedar Ahmed and several of his men were shot dead in Vishakapatnam. Pathan Turrebaz Khan, Moulvi Allauddin etc. attacked the British residency at Hyderabad. Turrebaz Khan was hanged publicly and Allauddin was sent to Andaman. The list containing the names of such legendary heroes is very long. 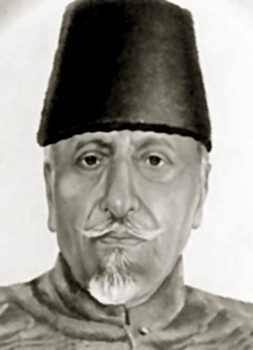 Muhammed Bakhar, native of Delhi, editor of DELHI AKHBAR, was one among the several other editors, whom the British treated as their archenemy. General Hudson, who was notorious for his cruelty, arrested him and kept in custody for a week and shot him dead for writing essays against the British and inspiring the fellow Indians to revolt against the foreign ruler in 1857. After him, Shoyabulla Khan, editor of a Urdu magazine IMROJ, published from Hyderabad (present capital of Andhra Pradesh state) was killed by the Rajakars. Shoyab, an apostle of Hindu-Muslim unity, mounted scathing criticism on the policy of the Nizam, and the cruelty of the Rajakars. Enraged by the kind of intellectual crusade that Shoyabulla carried on, the Rajakaras butchered him brutally in 1948 when he was on his way to his home from his office. Except these two, we will not find any other editor, who laid his lives for the sake of his commitment and the cause of the Country. Unfortunately, the dream of the rebels did not come true and the first was of Independence ended in a failure. After the recapture of Delhi in September 1857, the British unleashed a reign of terror. But in inflicting punishments they discriminated between the members of one community and to other. Some of the British officers viewed the 1857 revolt as an Islamic Revolt. This attitude towards the Muslims continued to be the cornerstone of British Policy in Indian for a quite long time. The Muslims were debarred from lucrative government jobs and were ejected from all other gainful occupations; their trade was ruined and endowments, from which their schools were maintained, were confiscated. It was sometimes openly stated in official notifications for government vacancies that only Hindus would be considered for appointment. Thus Sir William Hunter has reproduced extracts from papers, which stated that the appointments would be given to none but Hindus. Continuing his comments on the situation Hunter said: ` the Muslims have now sunk so low that even when qualified for Government employment, they are studiously kept out of it by government notifications. Nobody takes any notice of their helpless conditions, and the higher authorities do not deign even to acknowledge their existence'. After Delhi had been subdued and the British control was firmly established over it, there began the public executions. Scaffolds were built on the thoroughfares and Englishmen treated such places as centers of entertainment. They would collect there in groups to `enjoy ` the executions. Several localities of Muslims were totally wiped out. Historians recorded that Muslims were made special targets of tyrannical acts. With a view that the Muslims initiated the rebellion, British turned totally hostile towards the whole community and directed their wrath against the Muslims. According to history, 27,000 Muslim patriots were executed, to speak nothing of those killed in the general massacre. Number of sepoys, citizens were killed, burned, hanged, and blown up by the cannons. Near about 30 thousand Muslims of both sexes were exiled. One British officer Lord Robert in a letter to his mother wrote, these rascally Musalmans that, with God's help, English will still be the masters of India. The British rulers were afraid of the unity exhibited by Indians against them and felt that it would be a danger for them in future. Hence, they decided to break this unity in the name of religion, to ensure their continuity as the rulers of the country. For this purpose British historians and civil officers of British Govt. like Elliot, Dawson, Malcolm, Briggs, Elephinstone were engaged and they were directed to write the history books that could set the mind of the people infavour of British, and that their rule was far better than that of the ` tyrannical Muslims rule '. They were specifically ordered to write about the history of Muslim rule in India as an age of Muslim tyranny over the Hindus. They depicted ` Muslim rule ` as a very cruel one towards the Hindus and they described the British rule that descended from haven as God's gift, to liberate the latter from the oppressive Muslim Rule. At the same time, officers like William Hunter wrote a book INDIAN MUSLIMS, in which, Muslims were categorized as a separate nationality, and explained at length the measures to be taken for their development. These books played divisive role and succeeded in creating misunderstandings and spreading false notions about the Muslims and Muslim rulers. After the First War of Independence in 1857, the Indian National Congress, founded in 1885, led the National Movement. In this historical movement, from the beginning to the end, Muslims played their due role in each and every agitation. Badruddin Tayabji and Rahamtulla Sayani served as the presidents of the Indian National Congress. Moulana Shibli Nomani stood firmly with the Congress in spite of the criticism of Sir Syed Ahamed Khan. Affluent Muslims like Mir Humayun Kabir donated Five thousand rupees and leaders like Ali Bhimji toured across the country to strengthen the INC. Later eminent leaders like Dr.Ansari and Moulana Abdul Kalam Azad became the presidents of the Indian National Congress and various personalities like Moulana Mohammed Ali, Syed Mohammed, Justice Badruddin Taybji, Hakim Azmal Khan, and Syed Hasan Imam ect. Chaired the All India National Congress sessions held at various placers. Moulana Abul Kalam Azad became the president of INC twice, first in 1923 when he was 35 years old and again in 1940. In spite of the divide and rule policy pursued by the British, the religious leaders of Muslims i.e. the Ulemas declared total support to the national movement. We have already seen how several religious leaders took part in the First War of Independence. The Ulemas of Punjab issued a fatwa in 1888 which made it incumbent on the Muslims to join the Congress and declared it haram ( unlawful) to join hands with Sir Syed Ahamed Khan and others, who were discouraging Muslims from joining the Indian National Congress. Ulemas, who took up sword and spear in the First War of India's Independence against British, replaced them with pen and the tongue. Ulemas of Darul Uloom at Deoband, Shamli, and Fhirangi Mahal continued the struggle against Brithish. The Moulanas of these institutions issued Fatwas stating that it was the duty of all Muslims to participate in the national movement. To this effect an anthology of hundreds of fatwas was released as a book with the title NASRATUL ABRAR. Great Islamic theologians like Moulana Mahammad Hasan, Moulana Mahammad Hasan Madani, Moulana Obedulla Sindhi, Moulana Saifulla, Moulana Mahammad Shiroji and many others waged war and lived in exile for a number of years. Ulemas like Moulana Syed Mahammad declared openly that fighting for India's independence is as important and pious as performing Namaj everyday. Thus different organizations and institutions related to Ulemas lent there fullest support and participated in the National Movement and guided the people to march against the British. In 1905 Lord Curjon conspired to break the Hindu-Muslim amity and win over the Muslims to the side of the British by dividing Bengal. But the people offered stiff resistance to the partition of Bengal. Muslim leaders like Barrister Abdul Rasheed, Liyakhat Hussain, Abdul Hakim Gajnavi, Yussuf Khan; Bahadur Mahammad etc. were in the forefront of the movement and suffered much. They popularized Swadeshi among the Muslims of Bengal and established educational institutions to impart national education to the students. The slogan that came in to effect at that time, Vandematharam inspired one and all. Finally, in 1911, the government withdrew its proposal of dividing Bengal. The British left no stone unturned to keep the Muslims away from the agitational politics of the Indian National Congress. They took several steps to woo Muslims to their own interests. Due to these tactics of the British the All India Muslim League came into existence in 1906, which not unexpectedly was blessed by the Viceroy. The League, which adopted a hostile attitude towards the Indian National Congress, could not continue it for long. ML came closer to the INC and cooperated in all its ventures to keep the nation united and launch the movement for Swaraj. Ultimately this attitude culminated into the signing of the Lucknow Pact in 1916. The Swadesi and the Vande-matharam movements inspired many within the country and abroad to organize revolutionary groups and to take part in the national movement. In this period which is characterized as the Agni Yug ( era of fire ), Dr. Barkatulla Bhopali, Dr. Massur, Abdul Wahab worked as members of the Gadar party. The first Indian Government in exile was formed in 1916 with Kabul as the headquarters. Dr. Barkatulla was the Prime Minister and Moulana Obedulla Sindhi was the Deputy Prime Minister. A federal constitution was prepared by Moulana Sindhi, which was acclaimed by one and all as the best one to India with different religions customs and traditions. 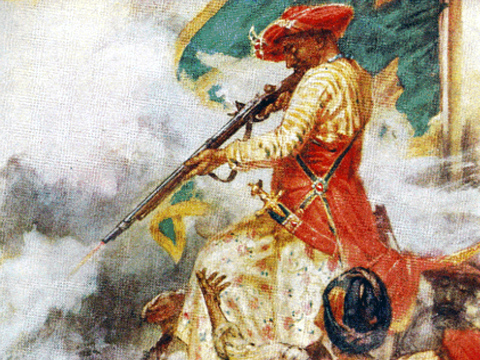 Muslim women continued the tradition of the women of the First War of India's Independence. While the police was searching for the legendary revolutionary Khudiram Bose, who killed the wife of a British officer, the sister of revolutionary leader Moulvi Abdul Wahid gave shelter to him and afterwards became so popular as Khudiram ki didi in the history of freedom movement. Moulana Madammadul Hasan of Deoband sent a letter to Indian soldiers requesting them to revolt against the British. This letter was written on a silk cloth in code language. Hence this was known as The Conspiracy of Silk Letters. Shaik Abdul Rahman of Hyerabad joined hands with the revolutionaries. Rasallulla Khan, Imtiyaz Ali, Ruknuddin got capital punishment for participating in Singapore revolt of March 1915. They refused the proposal of repentance and took the gallows. The Indian soldiers of Mandalay Conspiracy Case, Musthafa Hussain, and Ali Ahmed were executed. In this Era of Fire several patriots became martyrs. Not only young men, but also young women like Razia Khatoon, joined and worked with the spirit of sacrifice in several revolutionary associations like Juganthar, Anuseelana Samithi, Gadar Party, Hindusthan Republican Association, Athmonnathi Dalam etc. Moulana Abdul Kalam Azad leaned towards the revolutionary movement in the early phase of his political life. He founded a revolutionary organization called DARUL IRSHAD. He made the members of this society to take an oath on the Koran to sacrifice their lives for the sake of motherland. This oath taking ceremony was organized in the Burial ground of Khiddipur. As Moulana was a Muslim, in the beginning Bengal revolutionaries suspected him; but afterwards followed him in extending the revolutionary activities to other areas. He started Al- Hilal a Urdu weekly, with an object of spreading the revolutionary ideology. Moulana Azad, Jalalluddin Ahmed, the follower of Moulana Azad successfully organized revolutionary activities in Bengal. Afterwards due to the influence of Mahatma Gandhi, Moulana Azad became a non-violent freedom fighter and played prominent role in the National Movement. In those days, several Urdu magazines were published which were supporting the National Movement. To name only a few, Mahamad Ali published COMRADE and HUMDARD; Jaffar Ali Khan published ZAMINDAR; Wahiddin Saleem's THE MUSLIM GAZETTE etc. The editors and publishers of these magazines were frequently harassed and imprisoned by the British Govt. The Editors and the management were very often fined and magazines were put in the block list, and properties of magazines were ceased and were never returned. It was Peer Mahammad Munis, a teacher by profession, who first made public the atrocities committed by the British planters of Neel Plantation on the peasants at Champaran in Bihar. In 1916 at the Indian National Congress meeting he met Gandhiji and explained the sufferings of the peasants. By then Shaik Mahammad Gulab was leading a peasant movement by consolidating them against the planters. Gandhiji went to Chaparan to solve the problems of the peasants. The planters conspired to kill Gandhiji, who supported the peasants. They forced Bhataq Miya Ansari of Mothihari village to put an end to Gandhiji's life by administering poison in his food. The planters threatened him that his whole family would be destroyed if he did not accept to do so. Due to the fear of harassment by the officers the small employee of the British Govt. Ansari agreed to do so. But at the right time he disobeyed the planters and told Gandhiji that poison was mixed in the soup and thus he saved him from death. At that time Dr. Rajendra Prasad also accompanied Gandhiji and he was the witness of the incident. In 1950 Rajendra Prasad visited Mothihari village as the President of India. Then he met Ansari, who was in utter poverty. He had lost his employment and property, as he did not follow the instructions of the planters. Dr. Rajendra Prasad remembered how Ansari had saved Gandhiji in 1917. He sanctioned 50 acres of land to Ansari. It is saddening to learn that government officials allotted the land to Bataq Miya Ansari only after his death i.e. in 1957. With the passing of the Rowlett Act in 1918, the govt. unleashed oppressive measures. Gandhiji gave a call not to violate the Govt. Acts. On a mass scale the people took oaths. The first signatories on this oath happened to be Abbas Tayabji, Hakim Azmal Khan, Umar Sobhani, Dr. M.A. Ansari, Moulana Abdul Bari, Moulana Hasrat Mohani, Yakubkhan etc. All of them contributed significantly to national movement. Dr. Ansari and Dr. Abdul Rahaman, became the president and secretary respectively of the Satygraha meeting against the Rowlett Act. On this occasion there was a grand Hindu-Muslim unity. At the Jama Masjid in Delhi, the Arya Samaj leader Swami Sraddhanand, and in Bombay Masjid Mahatma Gandhi and Sarojini Naidu addressed the meetings organized on March 30, 1919. There was mutual respect to the religious sentiments and they rose above the traditional norms. The anti Rowlatt Sathyagraha created history in Amrithsar where the Govt. ruthlessly oppressed anti Rowlett agitation leaders. Dr. Saifuddin Kitchlu and Dr. Sathypal were sent on exile as they organized a protest rally and meeting. To protest the inhuman acts of the British officers a meeting was organized in Jalian Wala Bagh. General Dyer opened indiscriminate fire and relentlessly killed 378 persons. Among the dead 55 were Muslims, and it is noteworthy that a 55 years old woman Umaar Beebi, resident of Amrithsar, was one among them. Khilafath and Non-cooperation movements are to be written in golden letters in the History of Indian National Movement. There was widespread fury among the Muslims as the British rulers repealed the Khalifath institution to which much reverence was paid by the Muslims in the world. Moulana Abdul Baari of Ferangi Mahaal, Lucknow, started All India Khilafat Conference against the British Govt., after gathering Fatwas from different Ulemas. Moulana Abdul Kalam Azad, Hakem Azmal khan, Moulana Hasarath Mohani led this committee. Gandhiji thought this as a good opportunity to unite the Hindus and the Muslims and hence he supported the Khilafath struggle and gave a call for non-cooperation movement. People responded to this call and moved together by forgetting caste, creed, religion and region. Ulemas and other leaders advised the people not to hurt the sentiments of the people of other faiths. In this context, Moulana Azad declared, it is the injunction of Islam that the Muslims should protect their country from invaders, irrespective of whether the invaders are Muslims or even the army of the Caliph himself. At the same time, Moulana Mazrul Haq declared that for KHURBANI (animal sacrifice) cows were not necessary, on the eve of BAKRID festival. Honouring the call of the leaders students left their educational institutions, employees left their jobs, and people renounced their honours and awards conferred by British Govt. As a part of non- cooperation movement separate National Muslim Institution JAMIA- MILIA- ISLAMIA came into existence in October 1920 for those students who left the Institutions like M.A.O College of Alighar and other educational institutions run by or with the help of the Govt. Shaikul Hind Moulana Muhammadul Hasan inaugurated the Jamia Milia Islamia. Ulemas declared that, it was against the religion for Muslims to serve under the British govt. In Khilafath and Non-Cooperation movements Ali Brothers (Shoukat Ali and Mahammad Ali), Moulana Abdul Kalam Azad, Dr. Ansari, Dr. Zakir Hussain, Rafi Ahmed Kidwai, Hakim Azmal Khan, Mazharulal Haq, Prof. Muzeeb, Abdul Rahim, Mahammad Musa, Abdul Haji, Akbar Ali Khan, Meer Muhammad Hussain, Abdul Subhan, Moulana Athavulla Sha Bukhari, Haji Imdadulla, Gulam Mohiddin Sahib of Vijayawada, Badrul Hasan, Akbar Ali Khan, Makbul Ali of Hyderabad played a ledingt role. Along with men, Muslim women also played an equal role sacrificing their might for the sake of motherland. Abadi Begum Bano, mother of Ali Brothers declared that, In my country even dogs and cats should not be imprisoned by the British. Muslim Women leaders like Begum Nishatunnisa Mohani, Amjadi Begum, Begum Amina Tayabji, Shafatunnisa Begum, Fathima Ismail, Bibi Amuthusslaam etc participated in the Khilafat and Non-cooperation movements. Among these some inspired their husbands and some others assumed the responsibilities of the arrested husbands. Some by their writings and some by their public speeches played significant role. Some used their property to support the families of activists. Referring to Begum Sahmsunnisa Ansari for her commitment, selfless service and hospitality, Gandhiji declared, I bow my head before her. The Fire Brand poet and staunch nationalist, Moulana Hasarath Mohani moved his historic resolution which aimed at changing the Congress creed as attainment of Swaraj or Complete Independence, free from all foreign control, by the people of India by all legitimate and peaceful means. It was in 1921 at the Ahamedabad Congress session. All in the session including Subhash Chandra Bose were moved by the forceful speech of Moulana Mohani and supported his proposal. As Mahatma Gandhi rejected the proposal it was dropped. Begum Nishathunnisa, wife of Hasarath Mohani, criticized the act of Mathama. The argument placed by her in her criticism attracted Gandhiji. Even though she was highly critical of Gandhi, the latter appreciated her commitment for the cause of the country. Later on in 1927 at the Madras session held under the presidentship of Dr. M.A Ansari, the proposal of Moulana Hasrath Mohani was accepted. In 1927 at the Madras Indian National Congress conference, it was decided to boycott the Simon Commission. As per the instruction of the INC, in Bombay a young man by name Yusuf Meharali led the procession. It was a very big demonstration that attracted the whole of India and Yusuf became a symbol of inspiration to the youth. Accordingly he organized several Militant Youth Leagues to help the INC. He gave an advice to people on this occasion reviling the British that, the British rulers are like dogs. If you kick them, they will lick you, but if you lick them, they will kick you. The Malabar Moplahs had a very long history of fighting against the zamindars, who acted as the agents of the Britishs. Right from 1800 onwards they fought against them with arms, and such Moplahs played a special role in the Khilafat and Non-cooperation movements under the leadership of Moulvi Ali Mussaliyar. Away from their militancy, Moplahs were non-violent in this movement. But they were incited and consequently they revolted and took to arms against the British. British officers along with their police ran away from Mophal dominated area. Moplahs organized their own style of people's rule and thus created a new history. Later the British military took vengeance and hundreds of Moplahs were killed. A train tragedy famous as the ` Bellary Train Tragedy ` took place in Malabar. The British military sent 127 activists from Thirur to Bellary jail. They were packed in a small wagon, which is insufficient to accommodate all the 127 Moplahs. It caused intolerable suffocation resulting in the death of more than 70 Moplahs by the time the train reached Coimabtore. In this struggle 252 Moplahs were shot dead by British military, and another 500 were sentenced to life imprisonment. Along with Moulvi Kunyi Khadar, Moulvi Ali Mussaliyar, several of them were executed. Moplahs leaders like Mahammad Abdul Rahman Saheb, Moulvi Khadar Mohiddin, Mohiddin Koya etc. played an admirably prominent role in this movement. When the Khilafat and the Non-cooperation movements were at their zenith , the violence that erupted at Chowri Chowra made Mahatma Gandhi suspend the movement infavour of constructive programmes. The abrupt decision of Gandhi was criticized by youth and some of the elder leaders of Indian National Congress also resented such move. Young men thought that there was no other way except armed struggle to drive the British out of India. The decision of Gandhiji, which caused much dissatisfaction, protest and anger, paved way for the second phase of revolutionary. 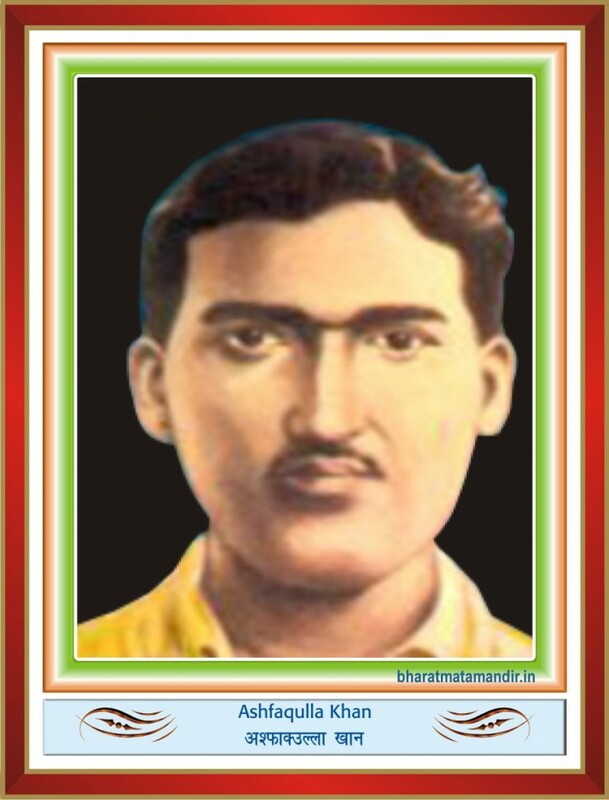 The youth like Ashfhakhulla Khan, who believed that there was no other way except taking up armed struggle to achieve independence, became the members of the Hindustan Republican Army. In the Kakori Train Robbery, planned by the HRA, he played a significant role. One year after the heroic act the British police arrested him. It was hinted that simple confession involving his comrades would secure his release. But Asfhaqullah scornfully rejected the proposal. Later on he was hanged in the year 1927. One day before his execution, surrounded by the lamenting relatives, he said if I am not allowed to observe the last ceremony of the noblest ordeal with all dignity and steadiness, then the sanctity of the occasion will be tarnished. Today I feel myself worthy of honour with the hope that a sacred and great responsibility for the liberation of motherland has been entrusted to me. You should feel happy and proud that one of yours is fortunate enough to offer his life. You must remember that Hindu community has dedicated geart souls like Khudiram and Kanailal. To me this is a good fortune that belonging to the Muslim community, I have acquired the privilege of following the footsteps of those great martyrs. His was only 27 years old at the time of execution. He wrote an appealing letter addressing the people of India. It read : Irrespective of your religion, tradition cooperate with each other in the service of country. Don't quarrel among yourselves. Though the ways are different our aim is one. When it is so, why should we waste our energy in fighting? Rise against the British unitedly and make the country free. From the execution platform he declared his wish as, Hamara wathan rahe sadaa khayam aur aabad, Hamara kya, ham rahe, Na rahe, and laid down his life to liberate motherland from the yoke of British. As he was very fond of his native place, he asked his people to place some earth of his village in his Coffin. The couplet in this regard goes like this: Kuch arju nahihai, arjutho yah hia rakhdo koyi jazarsi khane wathn kafan me. In the second phase of the Agni Yug Moulvi Gayajuddin, Naseeruddin Ahmed, Abdul khader of the Juganthar party, Altaf Ali, Mahammad Ismail, Jahiruddin etc. of the Anuseelan party and so many other revolutionaries fought bravely against the British. Fazululla Khan a Deputy Magistrate in the British Govt. assigned 60 acres of land to Alluri Sitharama Raju, who led the famous Rampa rebellion in Andhra Pradesh. Mr Fazululla supported Alluri's anti-British activities and the Rampa rebellion. Unfortunately he died due to the severe illness at an early age; otherwise he would have take part in Rampa movement as a comrade of Alluri Seetharama Raju. Youth inspired by the success of the Russian Bolshevik revolution went to Russia to examine the socialist experiment. Some of them started educating the masses in this direction. In this context we cannot but remember Amir Hyder khan, who introduced communism and organized the communist party in South India. Showkath Usmani, Dr.Jainullabuddin and his wife, Hajara Begum, Mujafar Ahmed, popularly known as Kaka Babu, Dr. Mahammad Jaffar, Shamshul Huda, Dr. Ashroff, famous poets like Sardar Ali Zafri, Sajjad Jaheer, Quaji Nazrul Islam, and Makdum Mohiuddin of Hyderabad, Moulana Hasrath Mohani etc. were inspired by Bolshevik revolution The British Govt. foisted several conspiracy cases like Peshawar conspiracy case and Meerut conspiracy case against Amir Hyder Khan, Mujaffar Ahmed and Showkath Usmani and several others. All of them were imprisoned for several years. In April 1930 Salt Sathyagraha movement was launched under the leadership of Mahatma Gandhi. The March reached Dandi and salt was prepared there violating the British laws. On this occasion Gandhiji appointed Abbas Tayabji as his next `dictator' of the Dandi March. In the North Western Provinces the Pathans under the leadership of Khan Abdul Gaffar Khan, led a nonviolent struggle, which dismayed many including Gandhi. Even though the Pathans traditionally lovers of arms, they did not gone out of the non-violent path even when the military attacked with arms and killed several of them indiscriminately. Hundred of Pathans became martyrs in Khissa khani bazaar of Peshawar, receiving bullets from the British police Khuda-I- Khidmathgar (Servants of God) marched forward and sacrificed their lives and created a new chapter in the history of nonviolent movements of the world. During the Civil Disobedience movement, Moulana Altaf Hussein, Abdul Hayat, Tayyab Ali, Pathan Gayajuddin, Jalaluddin Hashmi, Prof. Humayun Kabir, Abu Hasan Circar, Riyazul Karim, Fakruddin Ali Ahmed, etc. had undergone long-term imprisonment. After the Lucknow conference in 1936, people with socialist ideas like Rafiq Zakaria, Hussain Jaheer, K.A. Abbas, Rafi Ahmed Kidwai, took active role in the Congress party. Along with the individuals, several institutions like Khuda-e-Khidmathgar, Jamayath Ulema-I-Hind, Muzlis-I-Arhar, Nationalist Muslim Party, Momin Party, Shia Conference, Anjman-I- wathan, Krishik Praja Party etc. also played important roles. According to the Local Self-Government Act of 1935, elections were held and in those elections Congress got thumping majority against the Muslim League. In the Northwest also Congress got good majority by the unstained support provided by Khan Abdul Gaffaar Khan, Allah Buksh Sumrroh, Abdul Samad Khan, Dr. Khan Saheb etc. All these leaders fought against the communal politics of the Muslim League, and were against the proposal of the division of the country. They firmly stood against the Two Nation Theory. As a result of this, Muslim League leaders killed leaders like Allah Buksh Summrroh who fought against the communal forces until death. Communal forces murdered him in 1943. Abdul Gaffar Khan, known as the SARHAD GANDHI, was in prison for three decades before and after 1947 and was in exile for some more years. Abdul Samad Khan, known as BELUCHI GANDHI was imprisoned for several years. Mahamad Ali Jinnaha who went to London in 1930 returned in 1934. With his reentry into politics, Nationalist movement had taken several turns. Gandhiji did not take Dr. Ansaari to the Second Round Table Conference. The absence of nationalist Muslims gave the League a basis and a chance to proclaim itself as the sole representative of Muslims. Thus it became a good excuse to propagate communal politics. Jinnaha started invigorating the Muslim League. Irrational decisions taken by Pandit Jawaharlal and other leaders of the Indian National Congress belonging to Uttara Pradesh, Bihar and Bombay after the elections in 1937, added strength to the arguments of the Muslim League. Abul Kalam, in very clear terms, blamed Jawaharlal stating that Jawaharlal's action gave the Muslim league in the UP a new ease of life...it was from the UP that League was reorganized. In 1940 the Muslim League declared that Hindus and Muslims were two different nationalities and the two-nation theory was reiterated. In the Lahore meeting Jinnaha proposed the resolution on Pakistan. In fact the two-nation theory was not the brainchild of Jinnaha. It emerged out of the ideological acceleration of Hindu fanaticism and hate Muslim policy adopted since the creation of Hindu Mela in 1864 by Raj Narayan Bose. Later, in 1923 Bhai Premanad, president of the Hindu Maha Sabha, had demanded a division of province on the basis of Hindu and Muslims majority. In 1924 Lala Lajpath Rai, in his articles published in THE TRIBUNE (26th November to 17th December 1924) supported the idea of Bhai Permanand. In 1930 Khawja Abdur Rahim used the word PAKISTAN. Later when Chowdary Rahamath Ali published a brochure on this issue, Md. Jinnaha ridiculed the Idea of Pakistan stating that it was a wild musing of an irresponsible student. Moulana Abul Kalam Azad became the president of the INC for the second time at Ramghar Session 1940. He believed in the concept of one and undivided nationality. The Ramghar session passed resolutions that reflected the views of the Moulana. His advocacy of and conviction in one nation at Ramghar must have provoked the ML to publicize the Pakistan scheme only three day later on the basis of the two-nation theory. In the meanwhile Hindu communalists came forward and shook hands with the ML, declaring that Hindus-Muslims constituted separate nations. Azad paid a deaf ear to these communal outfits. In the month of August 1940 Gandhiji announced the ` Quit India ' agitation. As per the findings of Dr. AU Sahik IPS, Yusuf Meharali of Bombay created the slogan Quit India. Even he wrote a book titled Quit India, which has become very popular and gone into several prints. This movement led the arrests of several INC leaders like the Moulana Azad, Dr. Syed Mahumad, Asaf Ali and others. They were kept in Ahamednagar fort. Even though the ML called the Muslims to keep themselves away from Quit India movement, nationalist Muslims took active part and played prominent role in the Same. After the release from the jail Moulana Azad represented the INC at Simla Conference in 1945. On this occasion the ML claimed to be the sole representative of the Muslims. Hence the conference failed. During the tenure of his leadership Moulana Azad successfully launched the Individual Sathyagraha, had negotiations with Sir Stafford Cripps and led the Quit India Movement. Netaji Subhas Chandra Bose accepted the help of Japan for the liberation of the motherland. There were several Muslims in the Azad Hind Fouz as officers and soldiers. General Shanwaz Khan, Colonel Aziz Ahmed, Ashrafuddin Ahamed Chaudary, Colonel Habiburahaman, and Abid Hasan Safrani of Hyderabad etc played a key role in the Fouz. Akbar Sha was with Netaji when Bose escaped from India. In the submarine journey of Bose from Berlin, Abid Hasan Safrani followed Netaji as his personal secretary. In his last journey in airplane from Tokyo, Colonel Habiburehaman was with him. There were several martyrs like Ashroff Mandal, Amir Hayat, Abdul Rajq Ali, Akhtar Ali, Mahamad Ali Sha, Ata Mahamad, Ahmad Khan, A.K. Mirja, Abu Khan, S. Akhtar Ali, Ahmeadulla. Abdul Rahaman Khan and Abid Hasan Safrani, Khamrul Islam, Tajuddin from Hyderabad ect., who served in the Azad Hind Fouz in different positions. Abid Hasn Safrani who is from Hyderabad coined ` Jai Hind ' and ` Nethaji' , which had become house hold slogan in the history of freedom struggle. In 1943 while in Japan, Nathaji formed a Provisional Government of Free India that included some of the trusted lieutenants such as Col Aziz Ahamed, Lt.Colonel MZ Kiyam, Lt. Col. Ehasn Qadir, Lt. Col ShahnawajKhan, Karim Ghani and DM Khan. The British govt. foisted several cases and treated the members of the Azad Hind Fouz as traitors. General Shanawaaj Khan rejected the proposal of Mahamad Ali Jinnaha that the later would argue their case in the court, if the former separated himself from other Hindu Brethren, by declaring that we have stood shoulder to shoulder in the struggle for freedom. My comrades have died on the field of battle inspired by our leadership. We stand or fall together. In the trail that continued, Rasheed Ali was sentenced with 7 years imprisonment that was resented by the people of India. During the Quit India Movement defense forces could not remain unaffected from expressing the spirit of patriotism openly. One of the causes for the discontentment among the defense forces was racial discrimination to which they were being subjected. It caused the revolt of Royal Indian Navy. It could be called as the last pin in the coffin of British Rule in India. And it would be treated as the last phase in India's struggle for independence. The revolt erupted in February 1946 against racial discrimination of the British in the Royal Indian Navy (RIN). Indian National Congress and the Muslim League fought against the British Navy Officers. Common people supported the revolt as they did in 1857. The unity of 1857 was exhibited once again in 1946. The British indiscriminately shot at the Jawans and common people who demonstrated their resentment against the discrimination towards the Indians in the Navy. As usual, several Muslims laid down their lives in this last revolt. Moulana Azad interfered in this matter and sought the assurance from the Commander-in-Chief of the Indian forces that there would be no victimization of the naval personnel. The Labour Party came into power in Britain. It held soft attitude towards the Indian Independence and was prepared to transfer power due to various reasons. A commission called Cabinet Commission was sent to India in March 1946. In the discussion with the commission the INC leaders opposed Partition of India and the ML was insistent on Partition. Rejecting the invitation to join in Interim government the League launched DIRECT ACTION programme, which resulted in to outbreak of communal riots. Moulana Azad firmly held the view that demand for Partition would cool down if some time was allowed to pass on between formation of Interim Government and the final transfer of power. But other congress leaders were very anxious to get the power transferred even at the cost of partition. So the Moulana's plan was not allowed to run in its full course. In July 1946 Pandit Jawaharlal Nehru succeeded Moulana Azad as the president of the Indian National Congress. On 20th February 1947 British Prime Minister Attlee announced that the British would quit India by June 1948. Lord Mountbatten was sent to India to arrange for transfer of power. He brought forward a plan on 3rd June 1947. Moulana Azad was deeply distressed to find that Mountbattan was engaged in planning the partition of the country. He perceived that India was moving towards a great jeopardy. He was of the opinion that the Cabinet Mission Plan was the best solution for the unity of India. It could preserve unity and give every community an opportunity to function with freedom and hounour. Azad thought that the real problems of the country were economic and not communal...the differences related to class'es and not to communities. The Moulana pleaded his colleges, particularly Pandit Nehru not to take final step towards the partition of India. 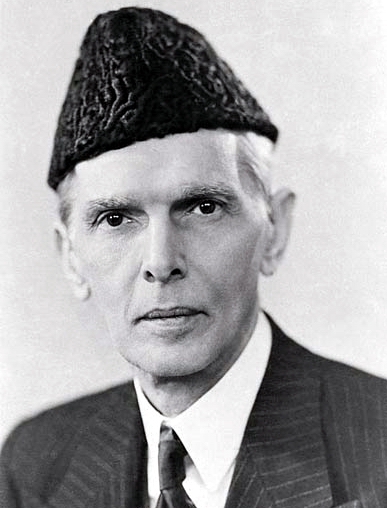 He emphasized in quite unequal terms that to accept partition was to accept Jinnaha's two-nation theory. In his view, the partition instead of removing communal fears would perpetuate them by creating two states based on communal hatred. He declared, if we acted in haste and accepted partition, we should be doing permanent injury to India. In Bengal Muslim legislators vehemently opposed partition while Hindu legislators demanded partition of India. According to Mr. A. Leonard Gordon, out of a total of 79 legislators from Hindu majority area 21 voted against the partition, 58-demanded partition. Likewise out of 141 legislators of Muslim majority area 106 voted against partition and 35 supported the demand for partition. It makes it crystal clear that a majority of Muslims were not infovour of partition and that they were deeply concerned about the unity of the country. Even after relentless efforts by Nationalist Muslimsin the AICC session in New Delhi held on 14th June 1947 Pandit Govinda Vallbhai Panth moved the resolution accepting the June 3 Plan, which was in favour of partition. Apart from Moulana Azad, other leaders of INC like Abdul Ghani, Hafizur Rehaman, Dr.Saifuddin Kitchlew, Ansar Harvani opposed it and described the resolution as a surrender to JInnah's obstinacy. Resolution was carried out by with the support of 157 to 29 votes. 32 members remained neutral. E.W. R. Lumby observed, that the opposition came mainly from...Nationalist Muslims, who felt that the congress had let them down. The efforts of Mahatma Gandhi, Moulana Azad, and the Frontier Gandhi Khan Abdul Gaffar Khan became futile. After the resolution was passed Gaffar Khan felt that they were thrown to the mercy of wolves. It can be said that from 1940 onwards until we got independence Gandhi-Moulana leadership guided the national movement. Azad, the then President of the Congress party understood the danger of two- nation theory. So he gave precedence to Hindu-Muslim unity than the attainment of Swaraj. He said on one occasion that ` If an angel descends from heaven today and proclaims from the Qutub Minar that India can attain Swaraj within 24 hours provided I relinquish my demand for Hindu-Muslim Unity, I shall retort to it: ` No my friend, I shall give up Swaraj, but not Hindu-Muslim unity, for if Swaraj is delayed, it will be a loss for India, but if Hindu-Muslim unity is lost, it will be a loss for the whole of mankind. This makes us clear that he preferred Hindu-Muslim unity to Swaraj for India. He warned that there was nothing to lose even if Swaraj was delayed, but if the unity among the Indians was broken, it would be a potential danger to the existence of human race itself. He vehemently refuted the arguments of communalists who held a nefarious view that religion would unite people forever. In this regard Moulana said, it is one of the greatest frauds on the people to suggest that religious affinity can unite areas that are geographically,economically, linguistically and culturally different. If it is true that Islam sought to establish a society, which transcends racial, linguistic, econimic and political frontiers. History has, however,, proved that the first few decated or at the most after the first century, Isliam was not able to unite all the Muslim countires on the basis of Islam alone. He was hopeful that political divisions of the country would not, in any way, affect our cultural unity. Indian culture was indivisible. Moulana explained this fact with a simple illustration: If we put a stick in the water, it may appear that the water has been divided but the water remains the same and the moment the stick is removed, even death appearance of division disappears. Thus Moulana fought ferociously against Partition and pleaded for Hindu-Muslim Unity. On 14th August 1947, the June 3 Plan was put into effect and India was partitioned. On 15th August India was declared as an Independent State. The rich, English educated, capitalists, land lords, industrialists, big business magnates, among Muslims, who wanted to grab the opportunities in a new country, the politicians who were power hungry left for Pakistan. But those Muslims the poor and the masses, who loved their motherland, continued to live in India. They became an inseparable part of India by participating in several developmental activities, and contributed their fullest might for the progress of India. To conclude in the apt words of Moulana Abdul Kalam Azad, I am indispensable to this noble edifice. With out me this splendid structure of India is incomplete. I am an essential element that has gone to build India. I can never surrender this claim...I am proud of being an Indian. I am part of the indivisible unity that is Indian nationality. IndianFreedom Struggle : Muslim Heroes (First Part).